InterActiveHealth Recent Blogs Are You Concerned About Your Health Insurance? Changes in Health Insurance and Health Care Industry are two topics that have landed themselves on the hot stove in debates around the country. Wherever you currently stand – this probably depends largely on your own medical problems and whether your job offers you good health insurance. But these issues aren’t brand new issues and have been debated and changed for the last few decades. There are hundreds of thousands of people who currently do not have access to health insurance. Who really deserves the blame? Is it our government, our employers, Insurance companies themselves, or the individual who aren’t working? What does a lack of access to proper health insurance really mean? Each individual will have a different story – but collectively – where are we missing what really needs to happen? If you do currently have health insurance – are you at risk for an increase in cost or a decrease in effectiveness? All of these are important questions to look at. Americans are certainly looking at the effectiveness of the U.S Health Care System which is dramatically being considered for changes in cost, structure, and direction. The support for a health care system modeled after Medicare is taking shape. This is a stark difference than a employer-based system that we currently have. The real problem I see is that we don’t know what to expect from a Government run health care system. Are we able to identify some of the potential problems such as difficulty seeing a Doctor in a perceived adequate time period? 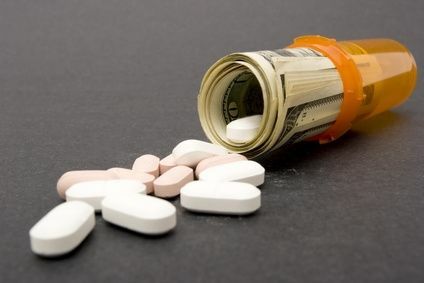 Will our secondary costs such as medications, health care supplies, frustration about phone calls to no one, difficulty with Blood work, nursing home admittance, being denied for medical procedures, and many other potential problematic areas? Health Care and Health Insurance are closely related. A poll indicated that those with insurance reported that 80 percent were mostly satisfied with their health coverage. Yet, in another poll – 54% of Americans were dissatisfied with the overall health care of the United States. Of course, if you don’t have insurance – you probably are unsatisfied. The health insurance industry is quite concerned about having too much government intervention in their business. What if you were told who you could sell to and who you couldn’t. It would be a difficult thing to swallow. One of the main debates is how to provide coverage for the almost 50 million people who do not have insurance. Someone – one way or another – will have to pay their medical costs. Hospitals and Doctors would also be forced to provide medical services for a far less cost. This might seem initially like a good idea – but to stay in business Hospitals and Doctors have their own budgets. This could affect those with employer based benefits. This could cause a lot of instability for those who have their own insurance policy. Cost is the main selling point for governmental run health insurance. But this cost that is intended does not take into account all the extra costs that are unseen. As mentioned previously – these costs could be too high. If you currently have or want to have insurance – know that there is a very valid concern about how much your health insurance will cost and what true benefits you will have inf the government health care goes into full effect. It will be interesting to see what things will happen over the next few months to years. Let’s hope it doesn’t bankrupt us all. 5.) Is Medicaid Really That Important? 0 Responses to Are You Concerned About Your Health Insurance?